South Africa's refreshed Sabi Sabi Bush Lodge, decorated with artifacts the owners have collected on their own adventures. Going bush doesn't mean forgoing all your creature comforts. South Africa's Little Bush Camp has a stylish bathroom with luxurious touches. Going bush doesn’t mean forgoing all your creature comforts. 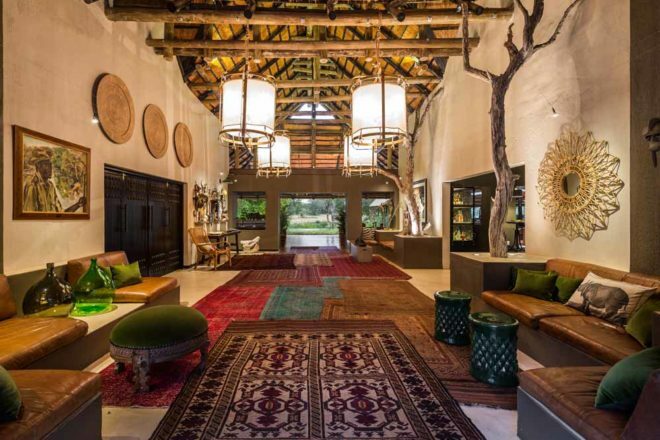 After recent renovations, this private game reserve proves that your safari experience can be unforgettably luxe. There’s been much happening in the wilds of South Africa of late, little of which has had anything to do with its abundant wildlife. Rather, the action has been centred around Little Bush Camp, the smallest of Sabi Sabi Private Game Reserve’s luxury lodges, which has had a major revamp. Still intimate in proportion, each of the property’s six suites melds modern and traditional design elements, and utilises an unimpeded flow of space to effectively bring the outside inside – an exciting prospect in a place where ‘the outside’ is teeming with drama, beauty and endless fascination. The new look has an edgy-African vibe, reflected perfectly in the feature wall of obsolete five-cent copper coins, dancing in the glow of the central fireplace, and the newly expanded bar where the sociable camaraderie of lodge living is celebrated. And while Little Bush Camp has been elevated beyond its little brother origins, the oldest member of the Sabi Sabi family, Bush Lodge, has also been reimagined, with the introduction of two villas and renovations to the luxury suites. 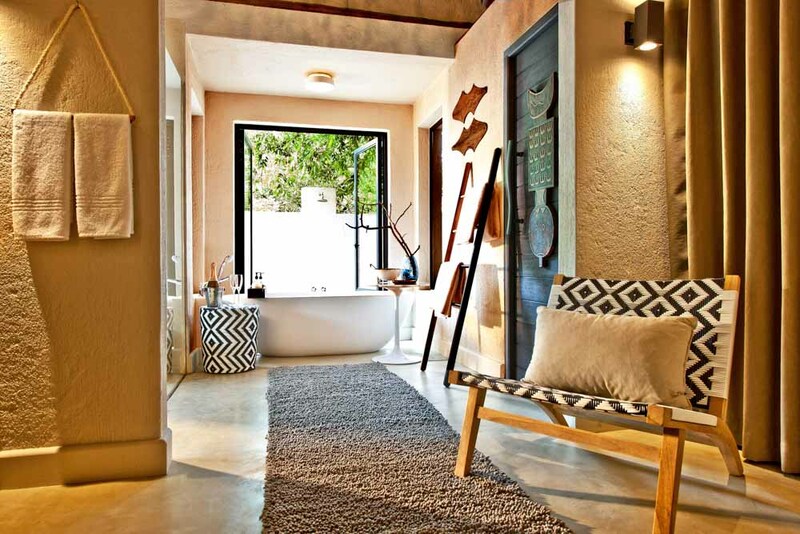 But it’s the refreshed aesthetic that really captures the imagination here, with 35 years’ worth of adventures undertaken by Sabi Sabi’s owners – and the touchstones they have collected along the way – written large throughout, with objets d’art, artefacts, art and antiques scattered liberally about. Going bush has never looked so good.